Confession: This isn’t my recipe. This is a step-by-step photo diary of a recipe I made from a packet of cookie recipes my mom has had since the dawn of forever. Well, maybe from 20 years ago. I don’t know where the recipe is from or who wrote it. All I know is that it truly is the best chocolate chip cookie recipe ever. It’s all about the oat bran. This nutty addition provides a little nutrition (go fiber!) and a lot of texture to these cookies, making them delicious as a stand alone treat or as a basis for ice cream sandwiches or ice box cake. 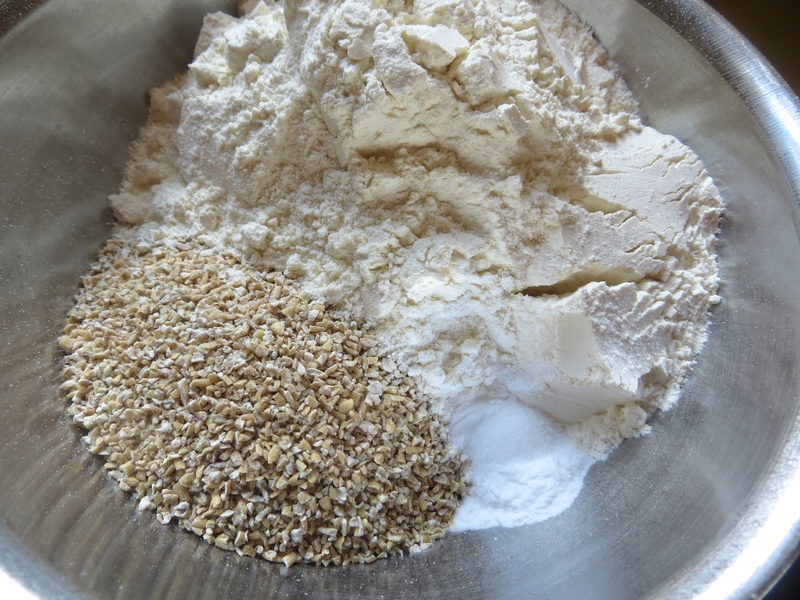 And it all starts with a mixture of all-purpose flour, oat bran, baking soda, and salt – basic dry ingredients for cookies plus the all-star Oat Bran. Then you need to break out your mixer – either stand or hand. And toss in a stick of butter and a stick of margarine. This is my only deviation from the recipe, which calls for two sticks of butter. I just love how margarine makes the texture of cookies chewy and soft, while the butter allows the bottoms to get crisp and golden. Cream the butter and margarine together to break them up a little and then add the brown sugar and granulated sugar. Beat together until light and fluffy. Then with the mixer on, slowly add two eggs one at a time. And then add in some vanilla extract. Turn the mixer on low and slowly add in the dry ingredients. I learned from my banana nut muffin making experience a couple of weeks ago and actually used the funnel that goes with my mixer. No flour on the flour (or on the Cat)! Mix the cookie dough until everything is just combined. 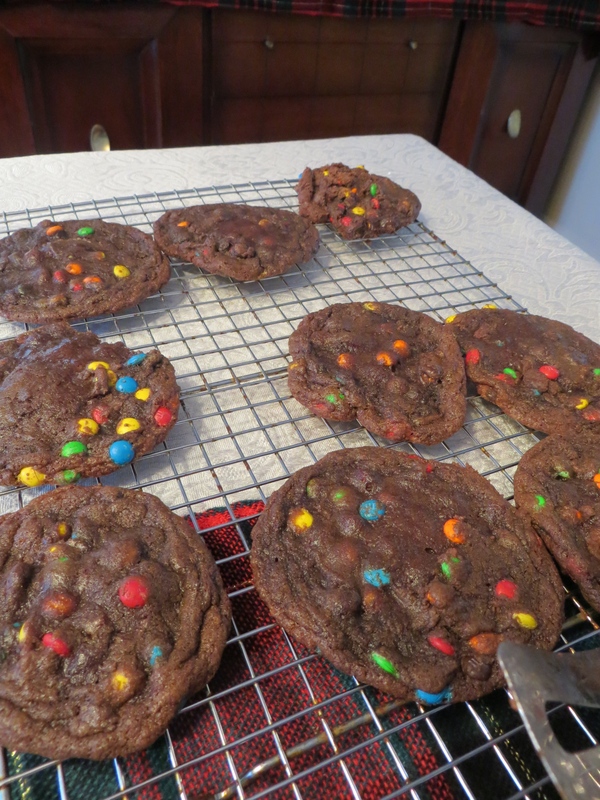 Then add in some chocolate chips – semi-sweet please – and resist the urge to dive in with a spoon. Then throw your cookie dough into the fridge and let it chill for a couple of hours. To bake, line some baking sheets with parchment paper. Grab your trusty, rusty kitchen scoop and dish out the cookie dough. To help the cookies spread out a little, press the cookie dough down slightly with your fingers. Bake for about 13-15 minutes at 350, or until the edges start to turn golden brown. They are perfect by themselves or with some ice cream. I hope you enjoy this delicious cookie recipe! It is a perfect after school snack (since it’s now the middle of August!). Stir in the chocolate chips. Cover the batter and place in the fridge to chill for 2-5 hours. Pre-heat the oven to 350°. 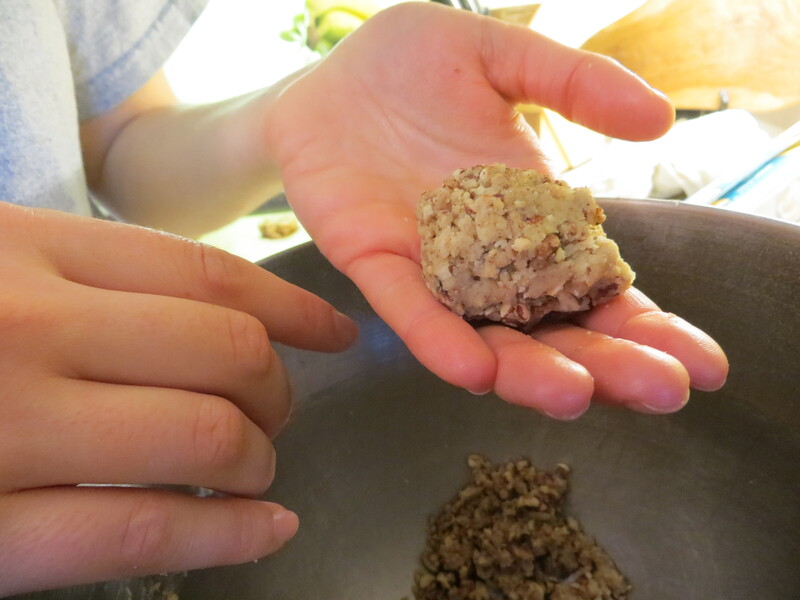 Portion out cookie dough into golf ball-sized portions and place on parchment-lined baking sheets. Bake for 13-15 minutes, or until the edges of the cookies start to turn golden brown. Yesterday, I was almost going to trade in my graduate school studies and grab a little green felt hat, climb into a huge tree, and help those famous elves make cookies (you know exactly what cookie brand I’m talking about). But then I decided that I liked being a registered dietitian-to-be, so I continued to work on my internship applications (I also don’t look good in forest green). All the baking was needed because we were hosting a “get to know you” party for all the young adults of my church and I wanted to make sure we had enough sweet stuff to fit every taste. Please note how I put gooey chocolate cookies on a rack over my mother’s pristine white tablecloth. I would give you the recipe but I actually got it off the back of the bag of those awesome mini candy-covered chocolate bits (bad description but you know exactly what I am talking about) and I don’t think I’m [legally] allowed to share it. So just follow that recipe, which is super easy by the way, and chill overnight instead of one hour… it makes the cookies easier to dole out. As much as I love my chocolate chip “famous candy-covered chocolate bits” cookies, my real pièce-de-résistance were my Pecan Sandies. How awesome do they look? Am I bragging too much today? Our new youth director, who wanted to have this party to get to know people, is from the South and made some killer pecan pie for our Thanksgiving get-together. So I thought a pecan dessert would do well for this gathering as well. This cookie was also made because my sister’s boyfriend’s mother (that’s a mouthful) sent her home from a visit with three-pound bag of spiced, sugared pecans. Three pounds of pecans. That’s a lot of pecans. Side note – do you say pea-KHAN or pea-CAN (please excuse my poor phonetic spelling skills)? Any way, we needed a way to use some of these pecans. I was poking around the World Wide Web and found a great recipe by Tasty Kitchen member Melanie Eccles! It was super easy, used up some of the pecans, and they were super yummy. I slightly modified her recipe to accommodate the sugared pecans. Note: If you don’t want to use whiskey, just add 1½ teaspoons of vanilla extract. You can’t taste the whiskey but it adds a little something to the cookie. And nothing is more southern than whiskey and pecans. 1. In your stand mixer, cream together butter and brown sugar until well combined. 2. Add in whiskey and vanilla extract. Mix until combined. 3. Slowly add in flour and salt. Mix until combined. 4. Add in chopped pecans and mix until just combined. 5. Place dough into fridge to hang out while oven preheats… temperature for cookie nirvana – 350. 6. Form 1½ inch balls and flatten them slightly – cookies won’t spread much on their own. Note: The dough is crumbly so make sure to lightly press the dough together or else it will crumble on the cookie sheet. Not awesome. 7. Bake 10-15 minutes until the tops are lightly golden and they smell done. 8. Eat with a cold glass of milk or with your morning coffee. They are such a pretty cookie. But not too pretty to avoid eating them! The party was a success and the cookies were enjoyed along with some amazing fellowship. It was the perfect end to the holiday season. So, kiddos, tell me. What cookie recipe are you sad to see go back on the shelf? Or are you going to be a dessert rebel that makes a gingerbread house in July? Let me know in the comments! 5. 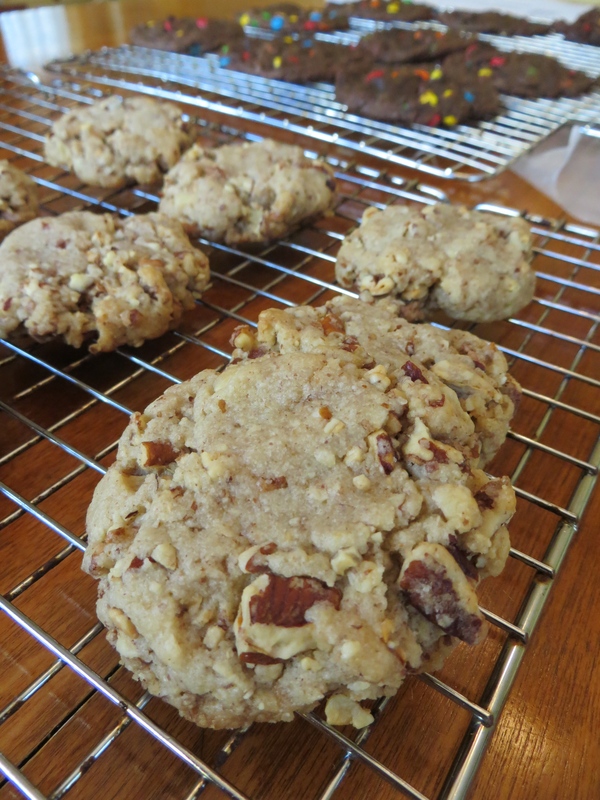 Place dough into fridge to hang out while oven preheats… temperature for cookie nirvana – 350°. 6. Form 1½-inch balls and flatten them slightly – cookies won’t spread much on their own. Note: The dough is crumbly so make sure to lightly press the dough together or else it will crumble on the cookie sheet. Not awesome. This icing is simple to make and super versatile! This year I made one batch and divided into different bowls and added food coloring. I also do not bother with piping bags – they can be expensive and hard to get your hands on. An easier replacement is a zip-top baggie. I put the icing in the baggie, push it to one corner and snip the end. It is easy and if the bag accidently splits, it’s no big deal. 1. Combine all ingredients in a stand mixer with the whisk attachment. 2. Wisk on medium speed for 10-15 minutes until the frosting is smooth and shiny. 3. Place into zip-top baggies and frost away! My first concrete baking memories are helping my father bake gingerbread cookies around the holidays. Nothing filled the house with a wonderful baked confection smell like homemade gingerbread cookies. What added to their allure was the decorating; it was socially acceptable to pile on as much royal icing and candy on each cookie and then promptly devour it. It was never Christmas without gingerbread cookies. Little did I know, the gingerbread cookies my family made were different than the ones traditionally made around this time of year. As a child, I remember biting into a store bought gingerbread cookie and was greeted to a strong, slightly bitter tasting morsel. My mother informed me that the gingerbread that I have been consuming my whole life lacked one ingredient – ginger. 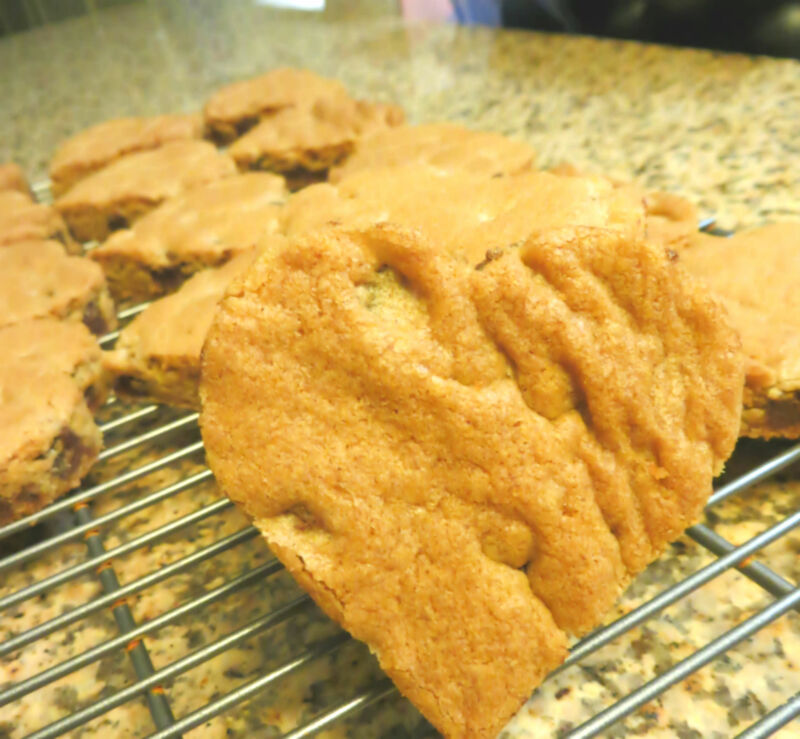 Which is why this recipe has been dubbed, “Not-Your-Ordinary Gingerbread Cookies”. And everyone I have come across who has eaten our cookies have said that they are better than normal gingerbread. So here is the secret family recipe for ginger-less gingerbread. Your holiday dessert table will never be the same again. 1. 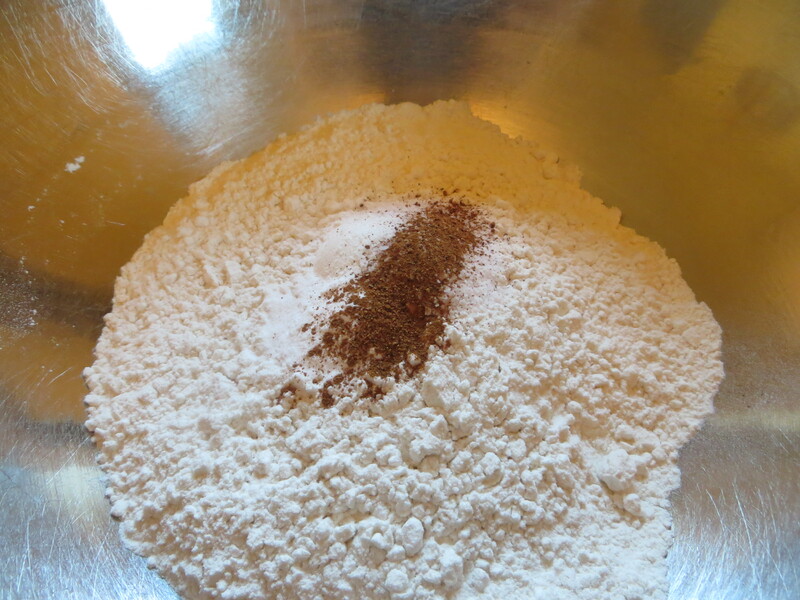 In a large bowl, combine flour, baking soda, salt, nutmeg, and cinnamon. Mix thoroughly. 2. In the work bowl of your stand mixer with the paddle attachment, cream the butter and sugar together. 3. Add the egg and mix until combined. 4. Add the molasses, dark corn syrup, and vinegar. Mix until combined. 5. 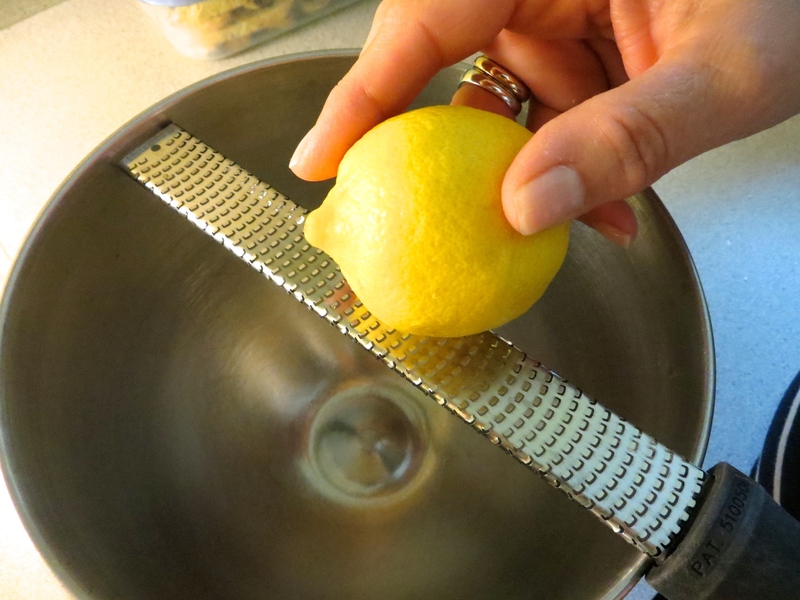 Put the bowl guards on the mixer and slowly add the dry ingredients into the wet ingredients. Mix until a soft dough forms. 6. Refrigerate dough for at least one hour. 7. 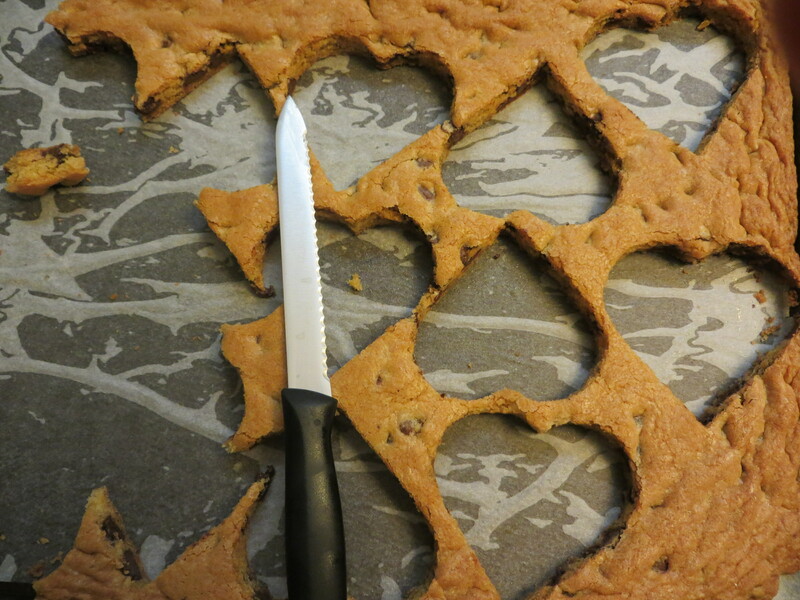 Cut into desired shapes and bake at 350° for about 12 minutes. 8. Cool cookies for an hour before frosting and/or devouring. I used to think that sugar cookies were the worst cookies anyone could ever bake/receive as a gift/eat. 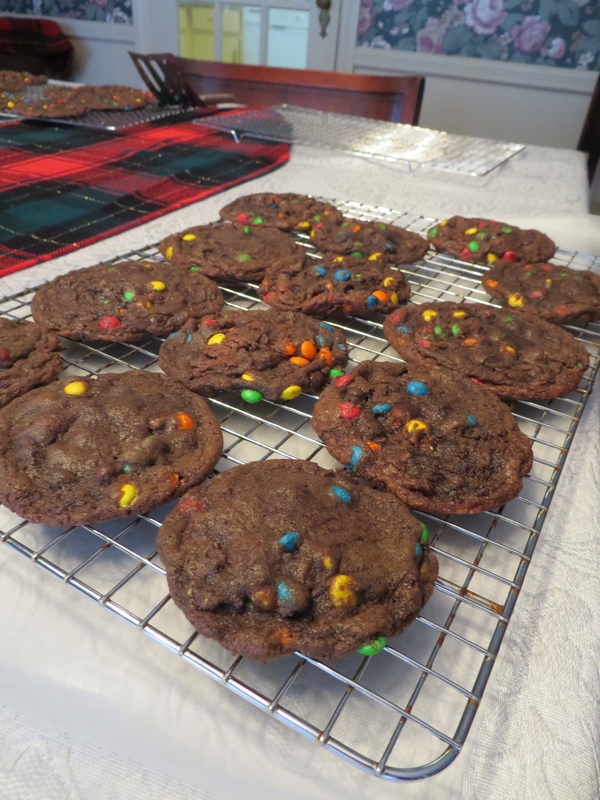 But as I made, and subsequently eaten, the cookies that are the result of this recipe, I have gained a better appreciation of the “vanilla” cookie. They are soft and moist, crisp on the bottom, and have a tiny hint of nutmeg. This cookie is as far from bland as it can be. It also lends itself wonderfully to icing; this year I used colored icings for the sugar cookies, because the off-white background is the perfect canvas for cookie masterpieces. 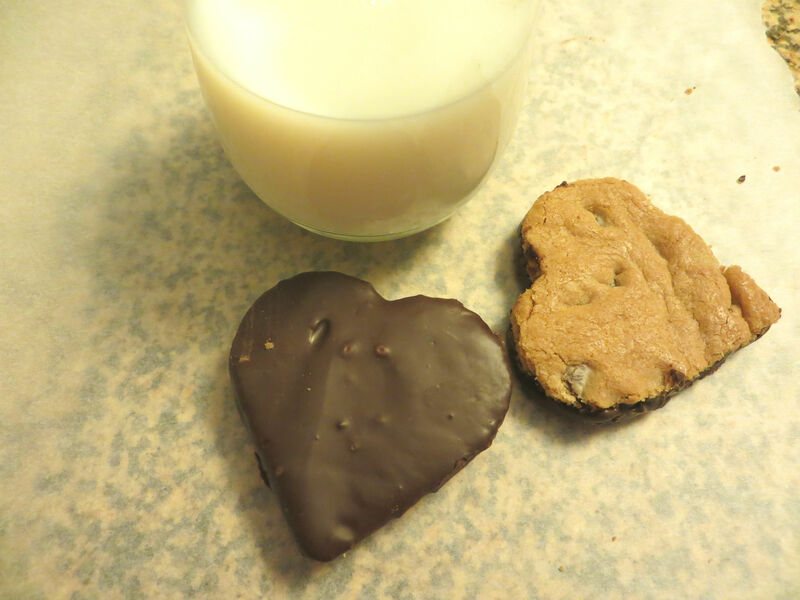 Just a side note – the yield for this recipe changes depending on the shape of cookie that you make. It can yield up to 40 cookies if you use one teaspoon of dough. I used bells, trees, and circles, which yielded about 35-38 cookies. 1. In a large bowl, combine flour, baking powder, salt, and nutmeg. Mix until thoroughly combined. 2. 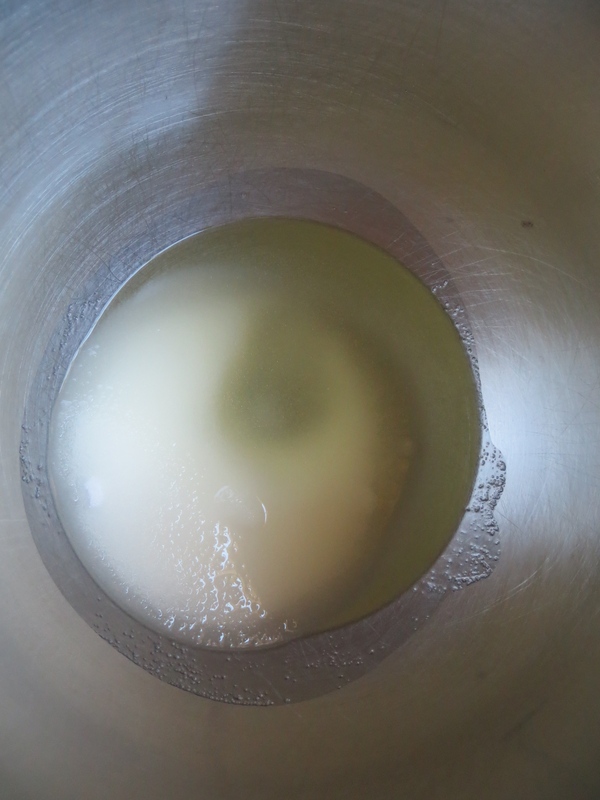 In the bowl of a stand mixer with the paddle attachment, cream margarine and butter together and slowly add the sugar. Beat until combined. 3. Add eggs one at a time. Wait until the first egg is combined before adding in the next one. 4. Add milk and vanilla to the wet ingredients. Beat until combined. 5. Put mixer onto lowest setting and put on bowl guards. Slowly add in the dry ingredients. 6. Mix until soft dough forms. 7. Place in the fridge for at least 30 minutes before rolling. 8. Bake cookies in the desired shape at 350° for a total of 12 and a half minutes until the edges are slightly golden brown. 9. 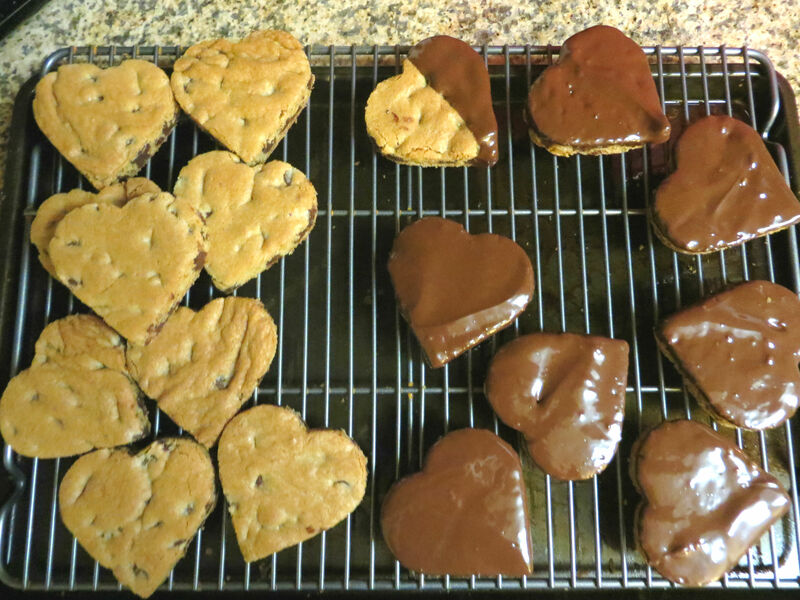 Cool the cookies on a cooling rack for at least an hour before frosting/devouring.